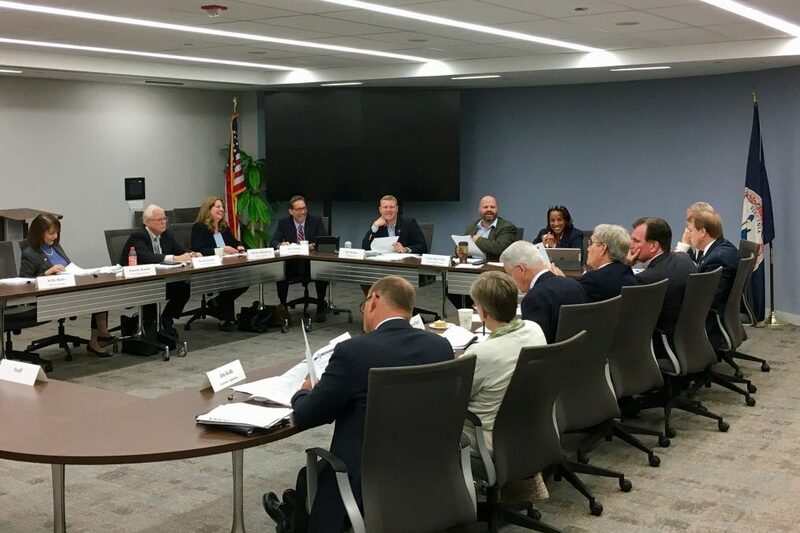 The NVTA’s member jurisdictions include the counties of Arlington, Fairfax, Loudoun and Prince William, and the cities of Alexandria, Fairfax, Falls Church, Manassas and Manassas Park. The NVTA’s governing body is comprised of 17 members; nine are the chief elected officers, or their designees, of the nine counties and cities that comprise the Authority; two are members of the House of Delegates; one is a State Senator; and two are citizens appointed by the Governor. In addition, the Director of Virginia’s Department of Rail and Public Transportation and the Commonwealth Transportation Commissioner, or designee, and a representative of the five towns which maintain their own roads (Dumfries, Herndon, Leesburg, Purcellville and Vienna) serve as nonvoting members. How does transportation funding in Northern Virginia work? 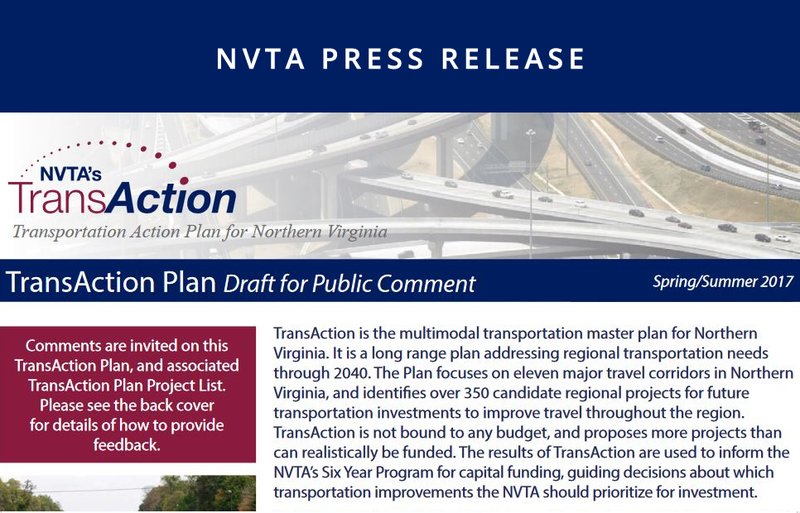 HB 2313 (2013), Virginia‘s landmark transportation funding legislation, provides the NVTA with dedicated, sustainable funding stream to address the Northern Virginia region’s transportation challenges. These new revenues, expected to total approximately $300 million each year, fund transportation investments in Northern Virginia. The revenues collected are divided into two funds: Regional Revenue Funds (70%) and Local Distribution Funds (30%). have also been evaluated by Virginia Department of Transportation (VDOT) as part of the HB 599 (2012) process. NVTA will continue to work closely with VDOT to ensure that the evaluation processes conducted as part of TransAction and the HB599 legislation are as compatible as possible. What projects will be considered in TransAction? The TransAction Plan, adopted in October 2017, includes a comprehensive list of more than 350 regionally significant projects representing all modes of transportation, including roadways, transit, pedestrians, and bicycles. The projects were developed based on (but not limited to) previous TransAction plans, jurisdictional comprehensive plans, and transit development plans. The TransAction Plan also considers how future advances in technology may affect the transportation landscape in coming years. All of the NVTA’s nine member jurisdictions are involved in this long range planning effort. The NVTA’s member jurisdictions include the counties of Arlington, Fairfax, Loudoun, and Prince William, and the cities of Alexandria, Fairfax, Falls Church, Manassas and Manassas Park. The NVTA’s governing body is comprised of 17 members; nine are the chief elected officers, or their designees, of the counties and cities that comprise the Authority; two are members of the House of Delegates; one is a State Senator; and two are citizens appointed by the Governor. In addition, the Director of Virginia’s Department of Rail and Public Transportation and the Commonwealth Transportation Commissioner, or designee, and a representative of the five towns which maintain their own roads (Dumfries, Herndon, Leesburg, Purcellville and Vienna) serve as nonvoting members.